For men and women, our MERU daypack's unique teardrop design is inspired by nature, shaped by function and guided by fashion. We're proud to say that it is the most useful and stylish crossbody backpack we've ever created for your casually active lifestyle. The innovative easy access shoulder sling bag design gives easy access to all compartments and pockets without having to remove the bag. It's small and light yet big enough for all your EDC items, including your iPhone and iPad tablet. 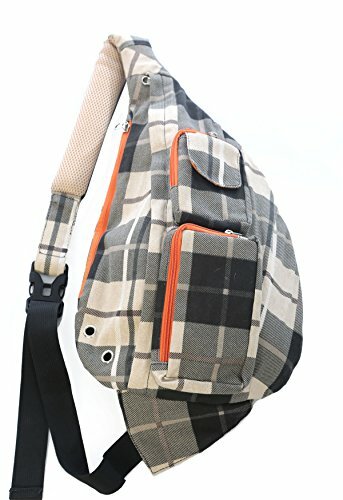 Take MERU's cross the body backpack out for a day around town and feel how comfortable it is to carry and the easy access it provides to all your things. Perfect for travel carryon, biking, hiking, school or walking around town. You might even retire your old purse or shoulder bag forever! It's THAT GOOD! 60-DAY, No-questions-asked refund policy, plus 6-month free product replacement WARRANTY. If you have any questions about this product by Meru, contact us by completing and submitting the form below. If you are looking for a specif part number, please include it with your message.